PhD in Physics fom the University of Florida dated August 9, 2016. 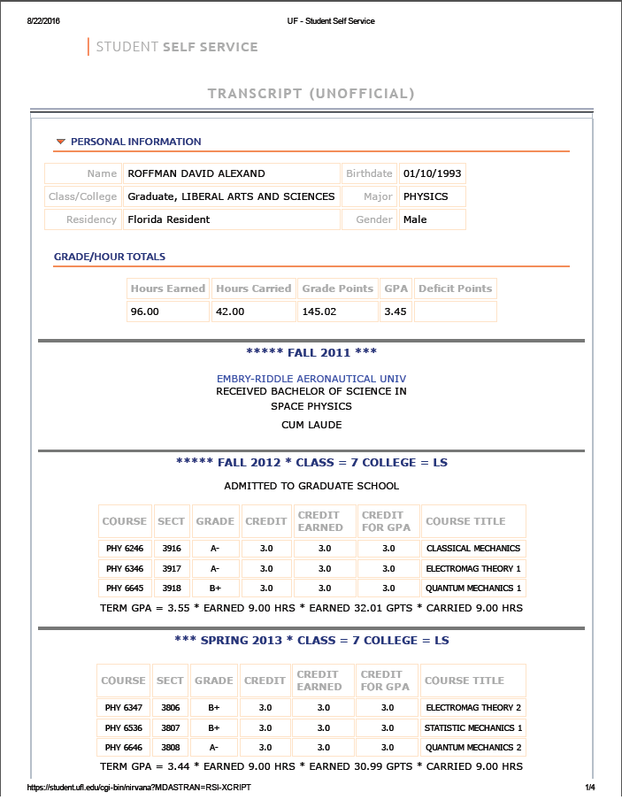 Below: Master in Science in Physics from the University of Florida dated December 17, 2013. Below: Bachelor of Science in Space Physics from Embry-Riddle Aeronautical University dated December 18, 2011.